At Dry Fork Diesel & Auto LLC in Carthage, our highly-trained diesel auto mechanics don’t just perform diesel auto repair, but also complete top-quality work on gasoline-powered vehicles such as Buicks. The Buick name has stood for American ingenuity and quality since 1903. 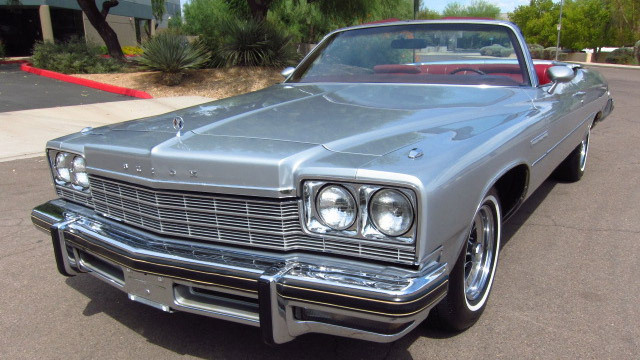 While it’s true that Buick produced some Century, Electra, LeSabre, Regal and Riviera models with an Oldsmobile diesel under the hood, the vast majority of its output has been gasoline powered. If you don't have one of those diesel Buicks, however, the auto mechanics of Dry Fork Diesel & Auto LLC have you covered. They are highly trained in all aspects of diesel auto repair, as well as gasoline auto repair and will have your Buick purring like a kitten in no time. Because we are confident in the quality and reliability of our work, we offer a 3-year/36,000-mile warranty on all Buick service performed at our Carthage-based diesel auto repair shop. “The guys at Dry Fork were able to determine the issues with my 6.0 Powerstroke and get it fixed. They did a great job and were very fairly priced (we all know these diesels are expensive buggers but I was pleased with the service and the price). Anytime I have something on my truck that I cannot do myself, Dry Fork will definitely be my first call! Thanks for getting me back on the road quickly!”— J.T.L. As stated, we’re not just about diesel auto repair, contact us to set up a time to have our diesel auto mechanics take a look at your Buick. Schedule an appointment online, or simply stop by. Dry Fork Diesel & Auto LLC. is located at 16740 CR 138 Carthage, MO 64836.